What happened in Hiroshima on August 6, 1945? Photos and films taken at the time are invaluable aids to understanding the events of that day and its aftermath. Effects of the Atomic Bomb on Hiroshima and Nagasaki, shot in 1945, is one of the rare films that shows the destroyed city and injured victims. This film project, initiated by the Japan Film Corporation (Nippon Eiga-sha), was interrupted by the U.S. Army, then completed under mandatory supervision by the occupying forces. After completion, the film was confiscated and taken to the U.S. where it remained unviewed by the public for more than 20 years. The film was finally returned to Japan in 1967, 22 years after the atomic bombings. This exhibition utilizes notes, memoires, and records of those involved in the project to depict the documentary process from its inception. We hope it will help you understand the filmmakers’ strong determination to record for posterity the devastation of Hiroshima and Nagasaki, and, at the same time, underscore the importance of passing these realities on to future generations. A-bomb documentary film "Effects of the Atomic Bomb on Hiroshima and Nagasaki"
This film was shot from September to October, 1945. It includes editions such as a physics edition, medical edition, and biology edition. 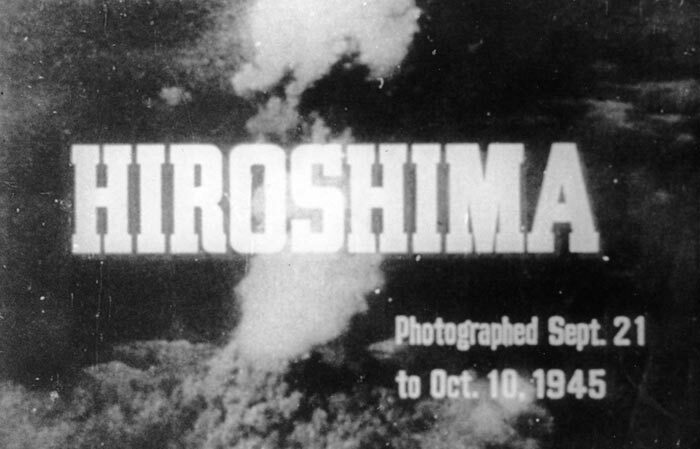 Combining footage from Hiroshima and Nagasaki, it consists of nineteen volumes for a total running time of about three hours. Partway through its production, it was commissioned by the United States Strategic Bombing Survey. Thus, the narration and subtitles were edited completely in English.